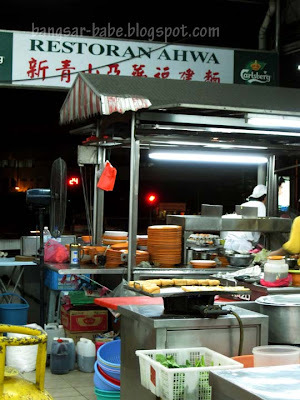 Ask any PJ folk and they would probably tell you one of the best Hokkien Mee in PJ is from Restoran Ah Wa, at Jalan 222. Recently, rif and I decided to indulge in some Hokkien mee after he had a not-so-good day earlier at work. At close to midnight, there were quite a few patrons having their supper. The noodles are cooked using charcoal, and I noticed every table had at least one plate of Hokkien Mee. 20 minutes later, we were happily tucking into our plate of dark, lardy goodness (RM12 for 2 pax). 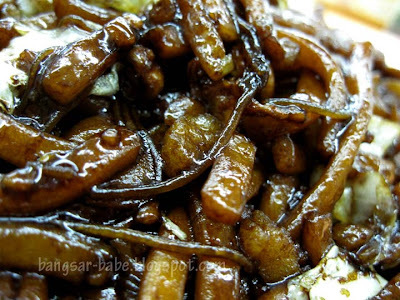 The noodles was full of wok hei and each strand was well coated with sticky black sauce. I couldn’t stop eating the pork lard! The tiny chunks of crispy pork lard was melt-in-your-mouth good! Now now…don’t lecture me about my cholesterol level! =P The noodles had a nice, slightly chewy texture and didn’t have the kan sui (alkaline) smell or taste. They were pretty generous with the prawns, vegetables and pork slices – every bite of noodles had liu in it. Yum! I liked the sambal belacan too. Thick, spicy and slightly pungent, it complemented the noodles very nicely. The Wat Tan Hor (RM6) on the other hand, was disappointing. I don’t think I will order it again. 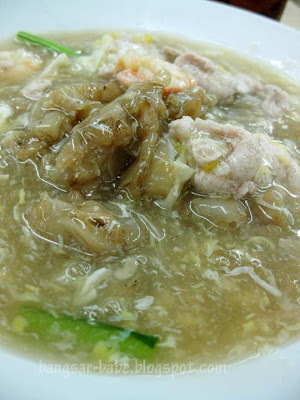 While there was wok hei in the kuay teow, the gravy was diluted and lacked flavour. 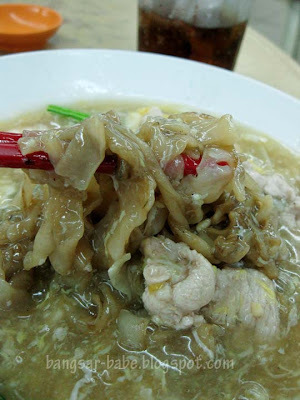 A far cry from the wat tan hor at Fun Kee, Pan Heong and even Fusion. Verdict: The Hokkien Mee is good, but it’s not the best I’ve tasted. Forget the wat tan hor. Opens daily from 6pm till 2am. i hav yet to try this…not my mouth is watering so badly!!! 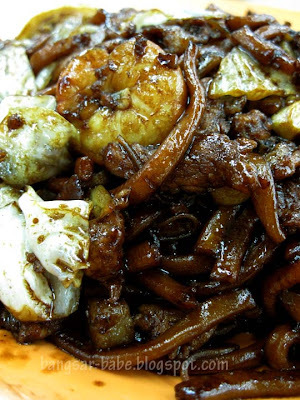 how's d hokkien mee compared to cheow yang one? Hi Babe, wow! Love those dishes, looks really fantastic. Can just imagine the lovely smells of garlic too, ha ha. Please allow me to say, you sure one real attractive lady. If you were to hold a bouquet of a dozen red roses in front of your mirror, you will see 13. You have a pleasant weekend, best regards, Lee. you shld do what my friend does, order an extra plate of fried lard bits! Totally sinful. why should I lecture u about cholesterol level when I'm a lover for the lard myself??? Lol… it's not that we eat everyday right? anyway, next time try to order the lala… ask for spicy 🙂 yum yum!!! leo – Hehe…I definitely will! Chong – Agree. 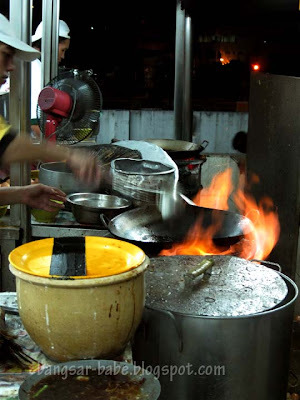 Not many places use charcoal to cook Hokkien mee anymore. Uncle Lee – TQ for the compliment. babe_kl – Oink oink! 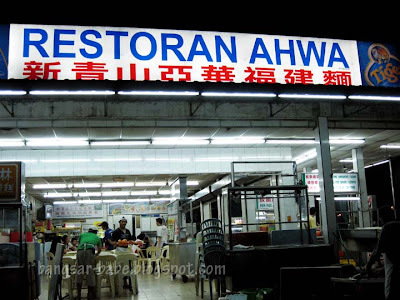 But the branch near your place got sang har meen…don't know about this one! I think this one is nicer. Chow Yang's one is alright, but I think their ikan bakar is better than their Hokkien mee. 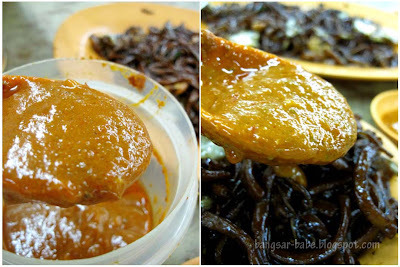 Cumi & Ciki – I think next time, I'll get the fried chicken from Ah Fatt and eat it Ah wa's Hokkien Mee! hokkien mee not my fav noodle of choice, but the LARDY part got me sold! The hokkien mee is the best i ever tasted. wa tan hor is too salty. 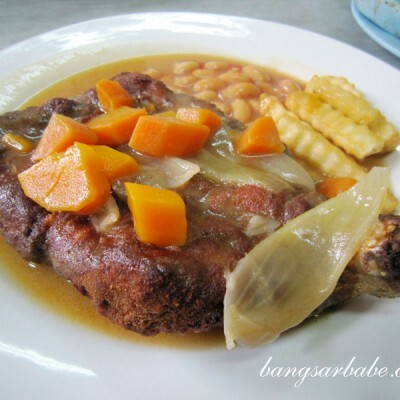 u should try the chicken wing and ikan bakar as well. try the one from the shop up the hill… that one is as good if not better. Wye Jon – Got name of the shop or not? don't remember the name but it's on the same row of shops but at the opposite end… can't miss it. Wye Jon – Got it. Thanks for the tip! Honestly, i tried another which was better than this. Sentul Ah Yap. That was good hokkien mee.